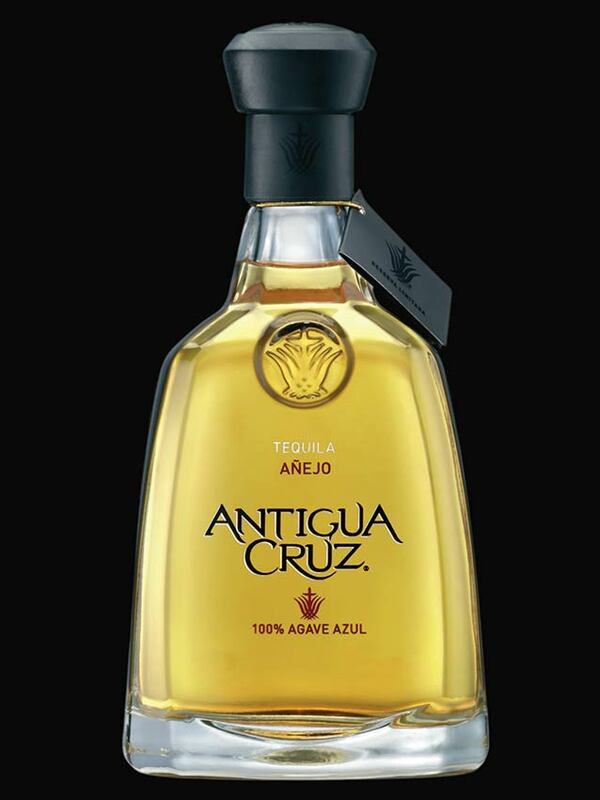 TequilaSource.com provides information about tequila including history, categories (100% Agave Tequila and Tequila) and types (classes) of tequila and photographs of bottles. 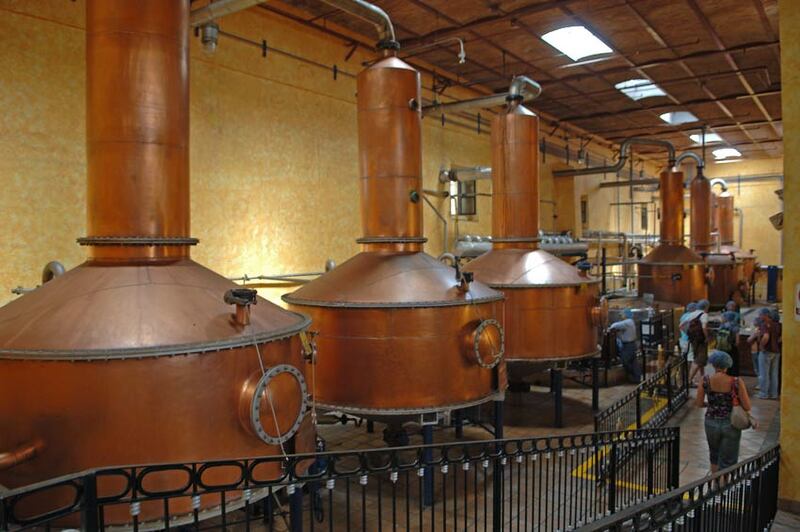 Our photo gallery has pictures from distilleries showing the processes used to make tequila. There are cocktail and drink recipes, and listings of tequila brands and distilleries. Tequila is North America's first distilled spirit, and has been produced in México since shortly after the Spanish conquered the country in the early 1500s. To be classified as tequila, it must be made from no less than 51% Weber blue agave. Better and high-end tequilas are made from 100% Weber blue agave. Today's fine tequilas are highly coveted by collectors worldwide—for both the smooth aromatic liquor and the handcrafted decorative bottle. México's tequila producers, almost all located in a one hundred-mile radius of the town of Tequila in Jalisco State, distill hundreds of brands, some the old way - in small lots in tiny family-run fabricas - most in ultra-modern distilleries. These producers are often using artisans to create unique hand-blown glass, crystal, ceramic, and Talavera pottery bottles that savvy collectors are snapping up like fine vintages of wine. News updates, News and Press, Tequila Cocktails and Drink Recipes. Reference books and sources for information, history and culture relating to Tequila, the Spirit of Mexico. Currently there are approximately 1,324 certified tequila brands on the market produced by at least 154 tequila distilleries. There are two categories of tequila - 100% Agave Tequila and Tequila. There are five different classes or types of tequila within these categories. Where tequila is center of attention. Phrases, terms, definitions and terminology relating to the Tequila industry. Article by Ryan Thomas with a bit of history. Tequila article from Los Cabos Magazine 2006. Tequila Information. Infused - Flavored Tequila, Mexico Spirits, Tequila Drinks, Tequila Liqueurs, Sangrita. General area map of tequila and the downtown area. A regional beverage, similar to tequila, but made mostly in the state Oaxaca. Recent magazine, newspaper and internet articles about tequila. Over 230 digital pictures and photographs from distilleries, photos of agave plants, barrels for aging, cooked agave, and processes related to tequila production. Amatitan, Arandas, Atotonilco el Alta, El Arenal, Guadalajara, Tequila. 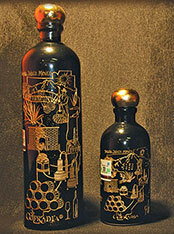 Our gallery of tequila bottle photographs has well over 600 images. Blanco, Reposado, Añejo, Extra Añejo, Joven, Tequila Liqueurs and Flavored Tequila. 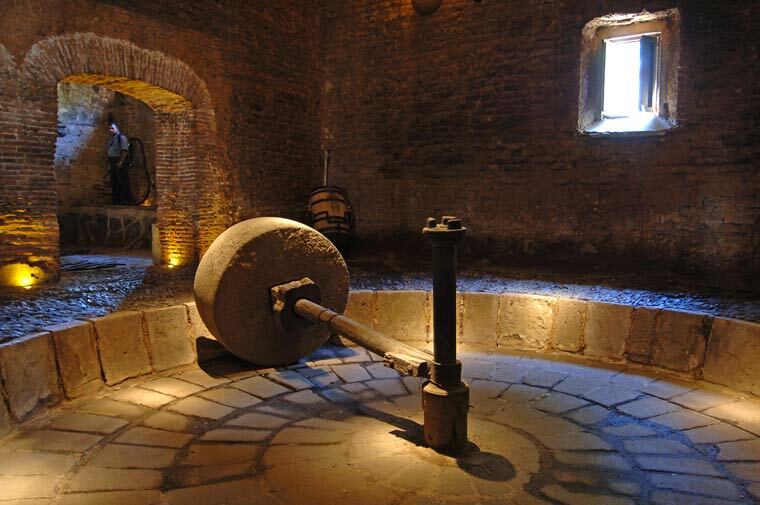 Some of the tequila distilleries in Jalisco will allow tours. See the tequila making process from harvesting to bottling. There are five classes or types of tequila within specific categories of tequila. Some distilleries are now producing organic tequila. Stores that specialize in tequila sales that have web sites and online ordering. Web contact pages, advertising rates to promote your business. What's New - Tequila News, Events and page Updates. Jose Cuervo Reserva de la Familia 2014 release - The 19th installment of the limited-edition handcrafted wooden box collection is adorned with the artistic styling of Enrique Rosas. 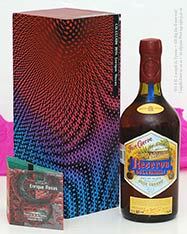 Jose Cuervo Reserva de la Familia 2013 release - The 18th installment of the limited-edition handcrafted wooden box collection displays the artwork of Carlos Aguirre. 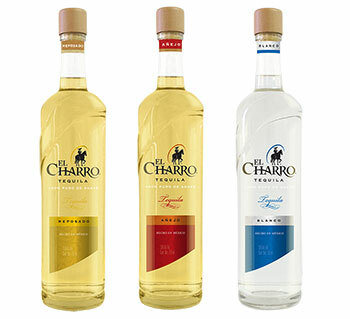 El Charro Tequila - Distillery: Compañia Tequilera de Arandas, S.A. de C.V.
NOM 1460 - DOT 17, Portal Allende 1 Int. 2, Col. Centro, C.P. 47180, Arandas, Jalisco. 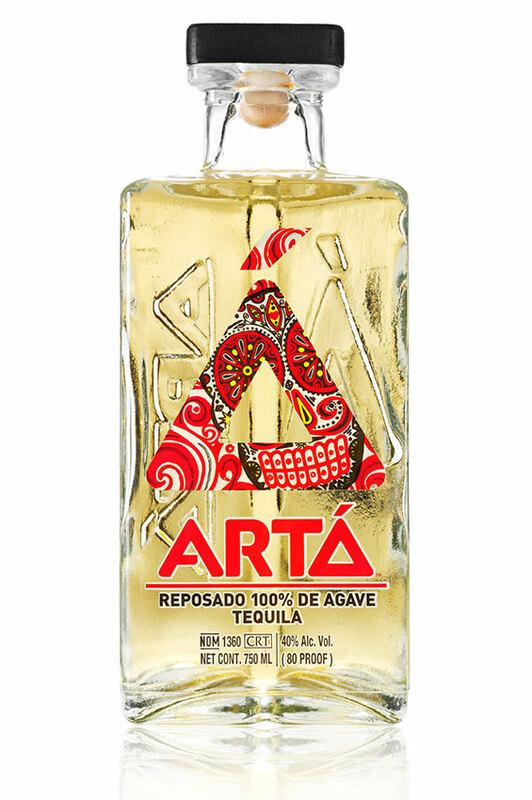 Arta Tequila - Arta Tequila is unapologetically rebellious, award-­‐winning tequila whose master distiller pushes the limits of distillation and aging to an art form. 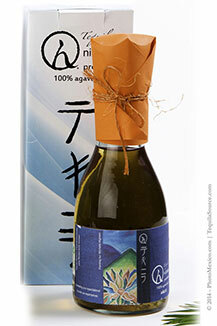 NOM 1360 - DOT 126 - Corporacion Ansan, S.A. de C.V.
Tequila Avión - new bottle design for 2013. Tequila Aviõn is handcrafted using only the finest Blue Weber Agave found in the very highest regions of Jalisco. Antigua Cruz Tequila - Arandas, Jalisco. New packaging photos. We receive many inquiries about purchasing tequila. Please be advised that we are not a retail operation and do not sell tequila or any tequila related products. Please visit our where to buy tequila page for a list of companies that sell tequila from retail locations and that accept online orders. Old stone tahona in old part of the distillery - Casa Herradura - San José del Refugio, Amatitan, Jalisco. A tour group goes past the copper alambiques (stills) in the distillation area at Mundo Cuervo, Tequila. This site is not intended to be viewed by minors. You must be at least 18 years of age to enter. If you continue you are certifying that your are at least 18 years of age.